Product prices and availability are accurate as of 2019-04-23 17:59:57 EDT and are subject to change. Any price and availability information displayed on http://www.amazon.com/ at the time of purchase will apply to the purchase of this product. Perfect for breakfast on the patio for creating an intimate seating area in your garden, the Paris table makes a wonderful choice. 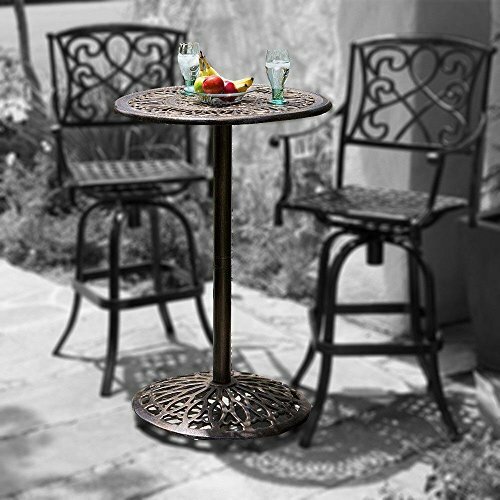 This table lends a dash of elegance to your patio with its elaborate patterned design. 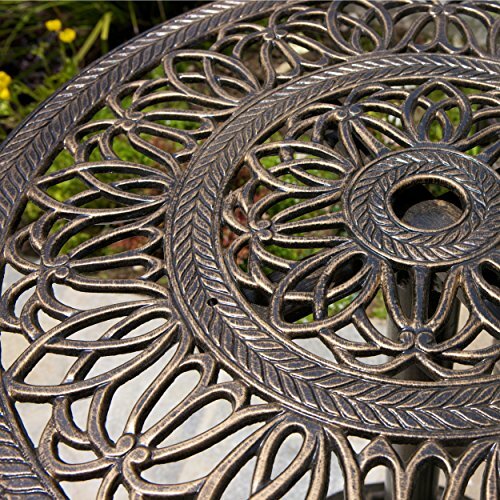 Crafted from cast aluminum, this bistro table will last for many years to come. A unique antique copper finish sets this table apart from the rest. It assembles easily and includes rust-resistant stainless steel hardware. A romantic European look that will enhance your outdoor living space. 27.56"L x 27.56"W x 43.3"H Strong cast aluminum construction is ideal for the outdoors Elegant European Style design Easy to assemble (tools and instructions included) Perfect for breakfast on the patio for creating an intimate seating area in your garden, the Paris table makes a wonderful choice. 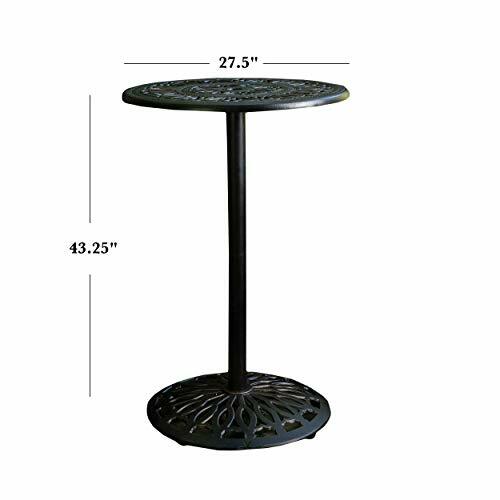 This table lends a dash of elegance to your patio with its elaborate patterned design. 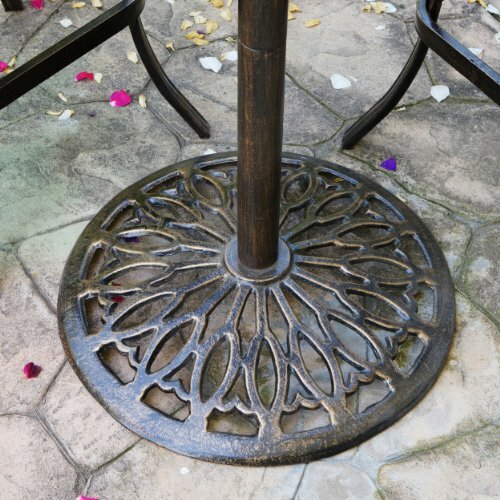 Crafted from cast aluminum, this bistro table will last for many years to come. A unique antique copper finish sets this table apart from the rest. It assembles easily and includes rust-resistant stainless steel hardware. A romantic European look that will enhance your outdoor living space.